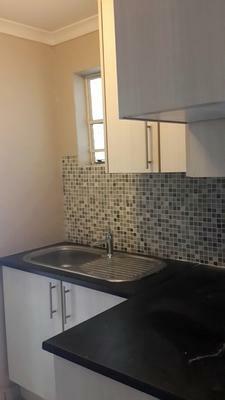 Newly Renovated Young Professional or Postgraduate Student Accommodation! 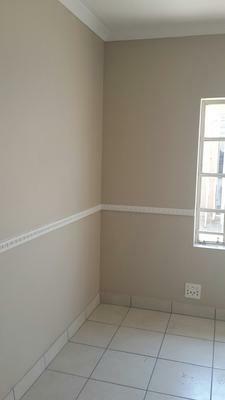 Stand alone and well secured 1 bedroom cottage situated in an upmarket, quiet and well established suburb of Colbyn less than 1km from Hatfield Gautrain Station and 2km from the University of Pretoria. A few kilometres from Pretoria Town. Walk everywhere including the Union Buildings. 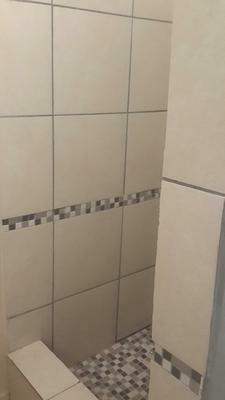 The cottage is neatly tiled with a kitchen and bathroom (shower, toilet and basin). It has brand new kitchen and closet cabinets with a desk area and plenty of shelves. The cottage has access to the sparkling swimming pool. It also has its own parking. This cottage is ideal for a single professional. 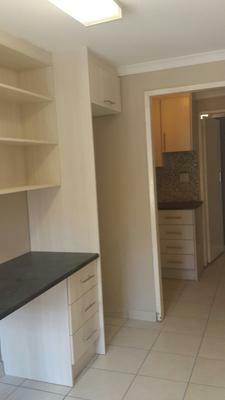 The asking rental is R5000 with a flat rate for water and electricity of R500 (flats in the CBD usually have R2000 electricity bill per month). Furnishing option is available. Included is domestic service twice per week, pool cleaning and gardening. Laundry machine is available in the property. Post graduates, medical students and young professionals will be considered. The cottage is also suitable for visiting exchange students and as self catering option for embassy guests. Mbini 084 585 0347 or leave her a message below.